Hello and welcome. 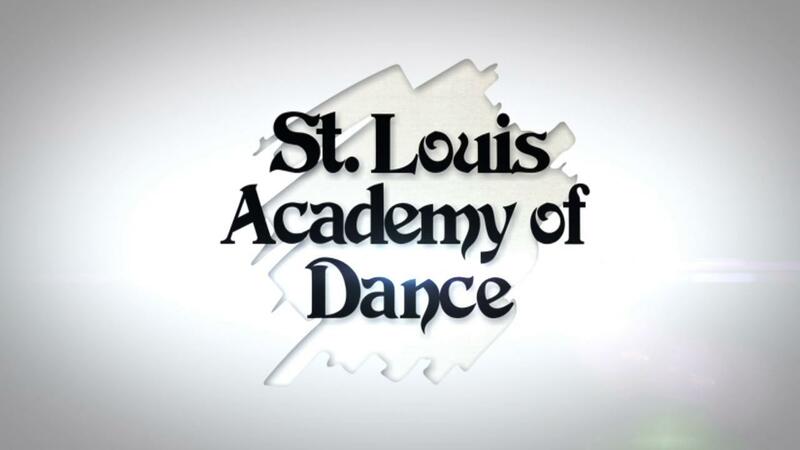 We are St. Louis Academy of Dance! 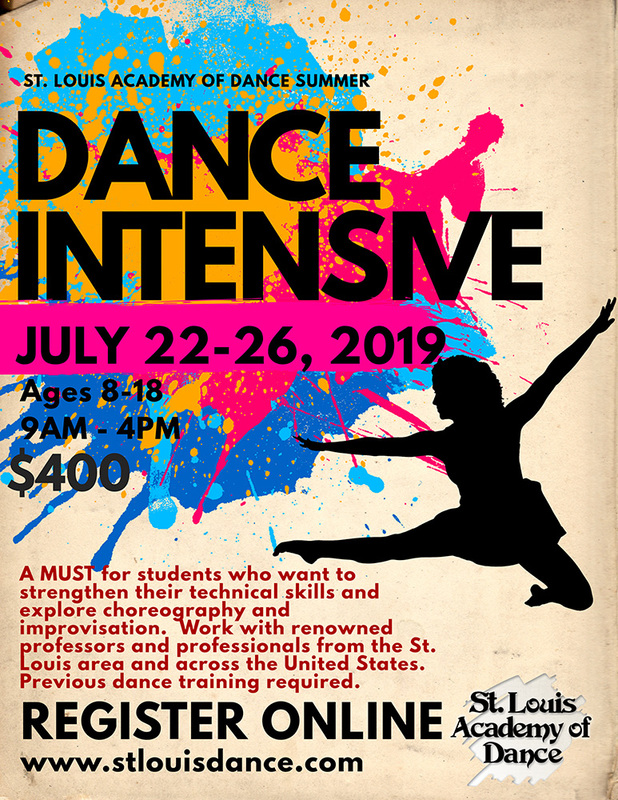 So let us introduce you to the world of dance! 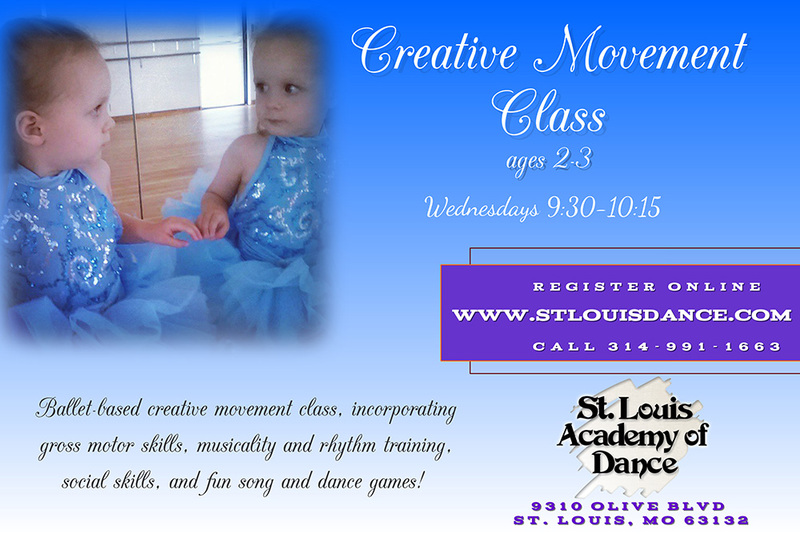 From Creative Movements for our littlest ones to our Pre-Dance Classes. Tween classes are used for fundamental skill building and technique. 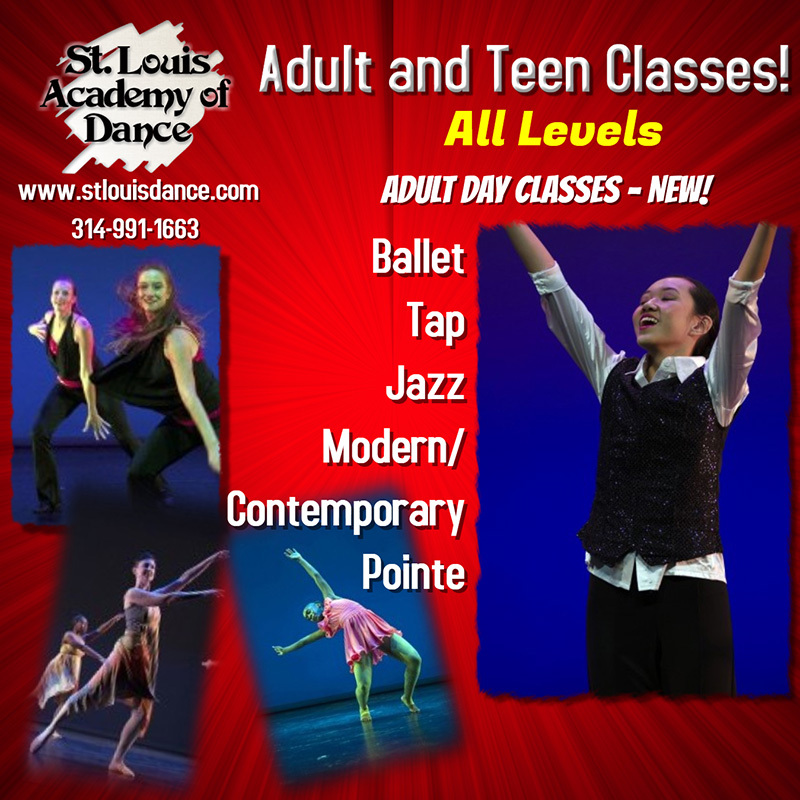 Our Teen classes are great for those perfecting their dance skills. Adult classes are great for beginners or experts, in a non-intimidating setting!